Handmade in the UK to a high standard. Fitted with two rows of imposing fleur de lys finials the Hampton tall metal side gate will suit any style of architecture making it the perfect choice for the design conscious homeowner looking to add privacy and security to any pedestrian entrance around the home or garden. 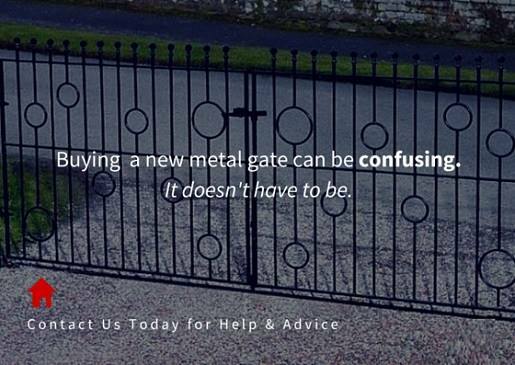 High quality metal side gate manufactured in a traditional wrought iron style. Provides great levels of privacy and security to any entrance or access point. The Hampton gate design is suitable for an array of property styles. Heavy duty construction featuring 25mm x 25mm box section frames and 16mm infill bars. 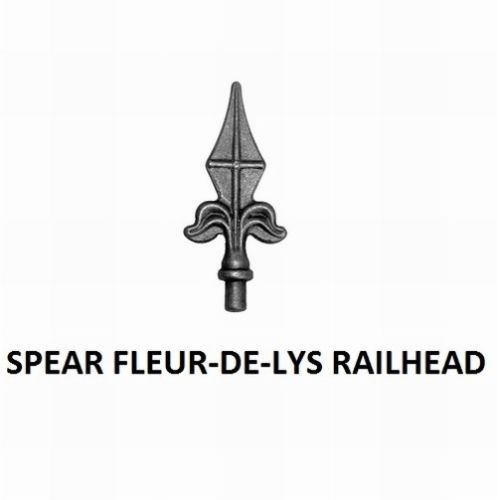 Fitted with two rows of fleur de lys finials. Tall metal gates are supplied with adjustable hinges and a sliding latch (can be secured using a padlock). Designed to be right hand hanging only (as viewed from the road side). 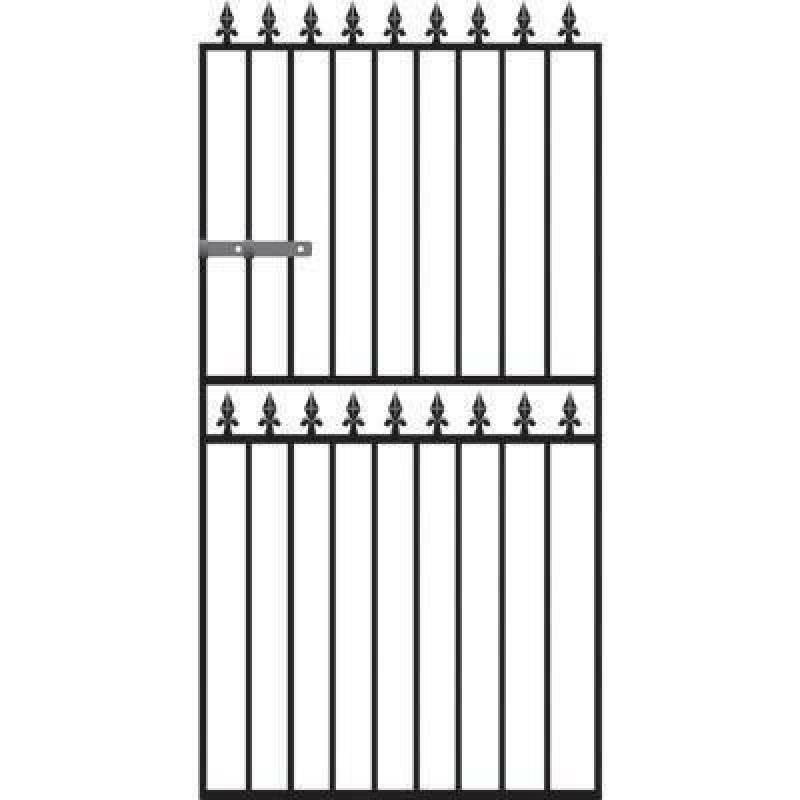 Hampton tall metal side gates come in a black primer finish and must be painted before you install them. Looking for help and advice before you order with us? 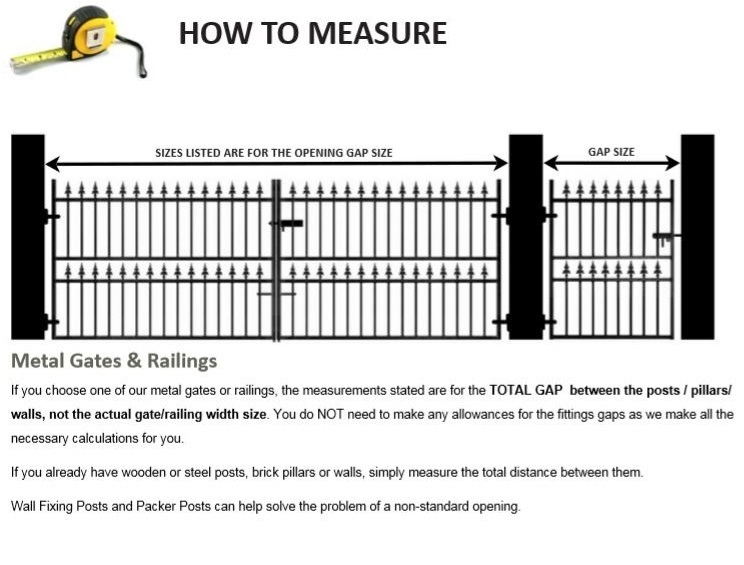 View the measuring guide to find out what size you need or take a look at the FAQ`s if you have a specific query.